One of the eight parts of speech in the English language is the pronoun. In order to be able to write great compositions and communicate well, you must learn how to use this type of word properly. So, what exactly is a pronoun? For you to understand the concept easily, you can look at nouns as actors and pronouns as stuntmen in movies. When a stuntman takes the place of an actor for a particular scene, he represents the same character. Just the same, a pronoun replaces a noun in a particular sentence, but it still refers to the same noun. Mr. White was a high school teacher turned race car driver. He was able to win 99.1% of the races because of his extensive knowledge in racing. In the sentence, the person is ­Walter White. Instead of repeating his name in the next sentence, the pronouns “he“ and “his” were used to refer to him. What would happen if there were no pronouns? Mr. White is a high school teacher turned race car driver. Mr. White was able to win 99.1% of the races because of Mr. White’s extensive knowledge in racing. So you see, pronouns are very important in written and verbal communication because they avoid repetitiveness and ensure a good flow of words. They serve as stuntmen that are always ready to replace the real actors when the actors start to wear out. Below is a list of the most common pronouns that you can use to replace different kinds of nouns. As previously mentioned, a pronoun is used to replace a noun. This noun is called the antecedent. The police officers rushed into their headquarters. In a simple sentence such as that stated above, it is very easy to identify the antecedent that the pronoun is referring to. However, you should be very careful with the use of pronouns in writing complicated sentences or paragraphs. If not used properly, these can confuse readers as to what you’re talking about. Make sure that your antecedent will not get lost to avoid this confusion. This kind of pronoun refers to a particular person or thing. The form of the personal pronoun that is appropriate to use for a specific sentence depends on the gender and number of persons or things that serve as the antecedents. For example, you are referring to a female subject in the sentence, the pronouns that are appropriate to use are: she, her, and hers. If you are referring to a male, you can use: he, him, and his. For a group of persons, not including yourself, the appropriate pronouns are: they, them, and theirs. Personal pronouns can serve as the subjects, objects of the verb or preposition, and can also show possession. 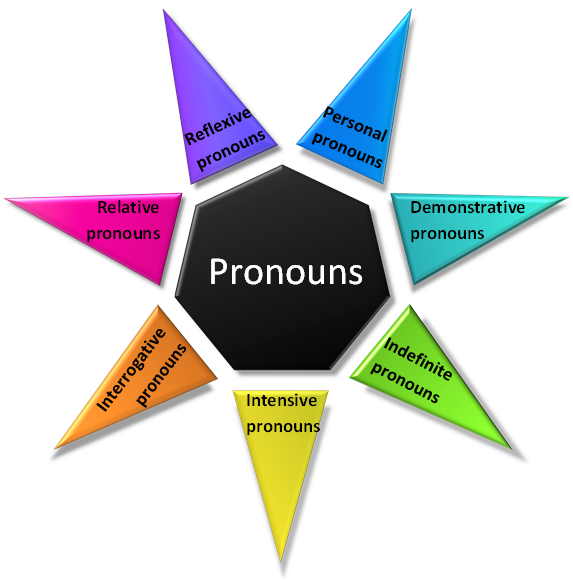 They are formally classified into: subjective personal pronouns, objective personal pronouns, and possessive personal pronouns. You are definitely the biggest science nerd I’ve ever met. In the example above, the underlined pronoun serves as the subject. Harry persuaded her to come with him. The pronoun “her” is the object of the verb persuaded. Him, on the other hand, is the object of the preposition with. Ours is the one on the left. The pronoun “ours” signifies possession. The function of this kind of pronoun is to point to a noun. Examples are: this, these, that, and those. The pronouns “this” and “these” points to things that are nearby while the other two are for things that are far. Aside from proximity, you must also consider the number of things you are pointing out. For singular nouns, “this” and “that” should be used, while for plural nouns “these” and “those” are appropriate. That is the car that I’ll buy for my birthday. The speaker is pointing out to a singular noun that is far from him/her. She said she wanted these. The underlined pronoun refers to a plural noun and also serve as the object of the verb wanted. This kind of pronoun refers to unspecified things. Some examples are: any, all, another, each, anyone, anything, anybody, nobody, everyone, everybody, someone, somebody, few, and many. Many were called for the interview but only 3 were hired. He’s ready to give up everything for his family’s safety. The function of intensive pronouns is to give emphasis to the antecedent. Examples of this kind of pronoun are: myself, itself, himself, herself, yourself, yourselves, themselves, and ourselves. The president himself said that it was a terrorist attack. I myself knew that it was a mistake. As the title implies, the function of this kind of pronoun is to ask questions. Examples of interrogative pronouns are: who, what, which, whom, whoever, whatever, whichever, and whomever. Who wrote the book 1984? This kind of pronoun links one clause or phrase to another. Some of the most common relative pronouns are: who, whoever, whomever, that, and which. The contestant who gets the highest score wins the million dollar jackpot. In this sentence, the underlined pronoun is the subject of the verb gets. The subordinate clause, “who gets the highest score wins the million dollar jackpot,” describes the noun contestant. He will accept whichever project comes first. This kind of pronoun is used to refer back to the subject. Some of the reflexive pronouns are: yourself, myself, ourselves, himself, herself, themselves, and itself. Sandra never forgets to send a copy of the email to herself. The pronoun “herself” refers back to the subject of the sentence, which is Sandra. He promised to repair the broken fence, however, we ended up fixing it ourselves. The underlined reflexive pronoun refers back to the subject we. 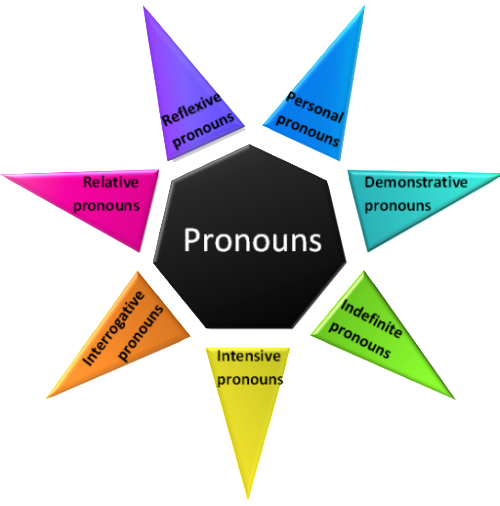 An in-depth understanding of pronouns and their functions is very important in creating well-constructed compositions. Pronouns make the flow of words and thoughts smoother and this should definitely engage your readers.